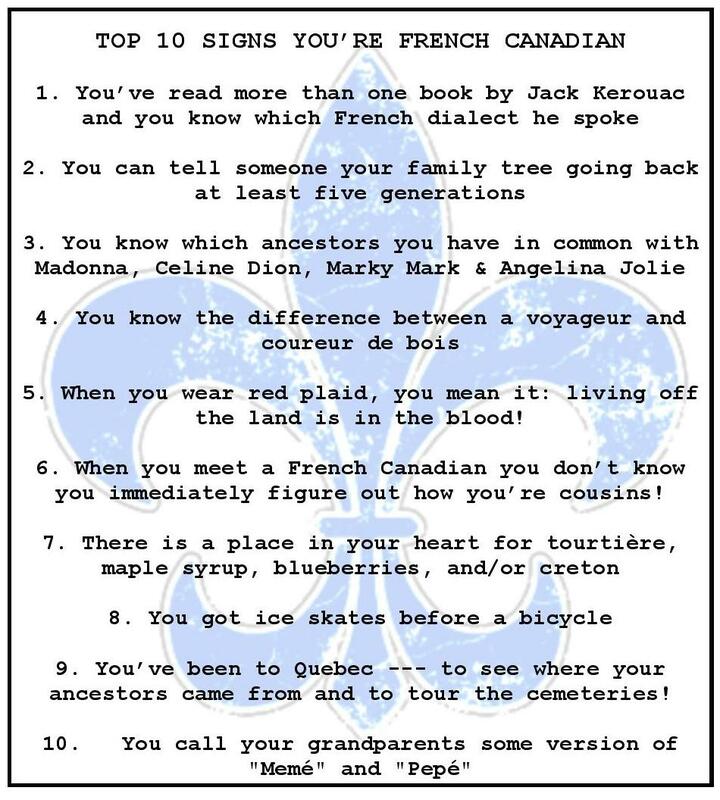 Top 10 Signs You Are French Canadian! Something utterly frivolous but what is life if you can’t have fun? French-Canadians are renowned for their sense of humor (humour if you are English speaking people). Les Canadiens français renommés pour leur sens de l’humour.